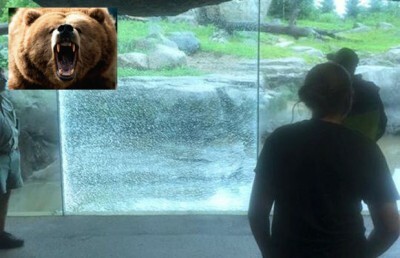 In a real-life Jurassic Park moment, a grizzly bear at the Minnesota Zoo used a 50-pound rock to repeatedly strike the glass wall of its enclosure. 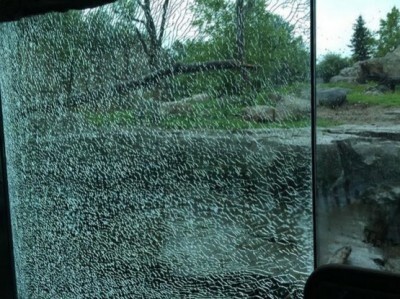 The bear shattered the thick safety glass that separates the bears from shocked and alarmed zoo-goers. 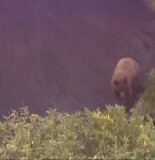 Zoo staff believe the bear that was involved is named Kenai, a middle-size brown bear. The bears have been taken out of their exhibit until a replacement pane can be installed. 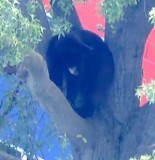 The zoo says there was no threat to people or bears.